A large number of charges brought by the DPI and DSE against several anti-logging protesters will finally come to Ringwood Magistrates’ Court this Thursday morning, 6th September. Many of the charges relate to protests that disrupted clear-fell logging on Sylvia Creek Road in Toolangi State Forest in July and August last year. The protests only ended when logging of the coupe known as “Gun Barrel” was stopped by a Supreme Court interim injunction, obtained by Healesville non-profit environment group MyEnvironment at the end of August, 2011. 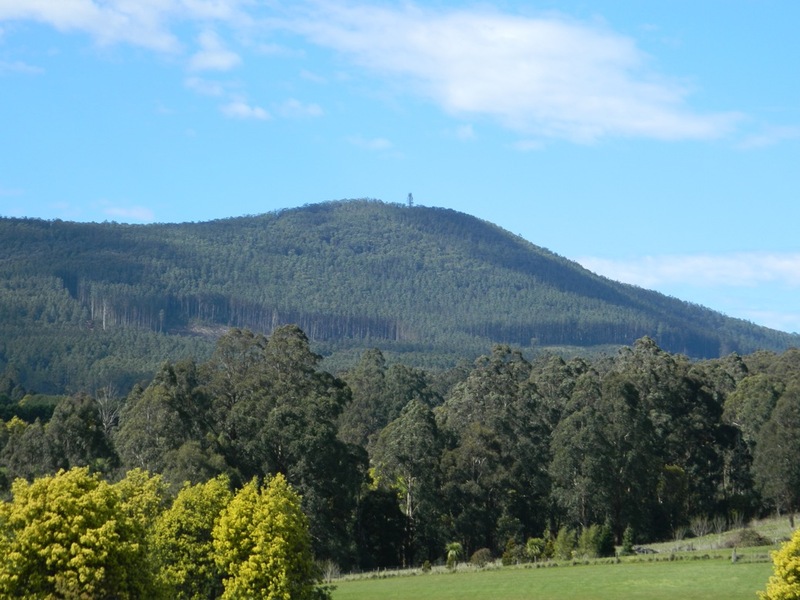 Clear-fell logging, and protest actions against it, are continuing at other nearby locations including Mount St Leonard (see photo taken today of Leo's Foot and South End coupes). It is understood that the charges, most of which have been hanging over protesters for twelve months, are all to be withdrawn by the Department when their cases are called on Thursday. It is also understood that no reason for the decision to withdraw the charges has been given to the accused. The withdrawal of all charges against community members and activists who defended Gun Barrel coupe last year is a significant win for us and supports our decision to protect this beautiful forest on our doorstep, which we know to be critical habitat for the Leadbeater’s Possum. It is particularly appropriate that these charges are being withdrawn on the eve of Threatened Species’ Day, which marks the death of the last Thylacine in 1936. We won’t stand by and watch the extinction of another unique animal without doing all we can to prevent it.